MARLBOROUGH, Mass., July 20, 2018 /PRNewswire/ -- Boston Scientific Corporation (NYSE: BSX) today announced it has signed an agreement to acquire Claret Medical, Inc., a privately-held company that has developed and commercialized the Sentinel® Cerebral Embolic Protection System. 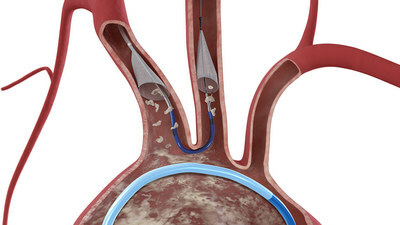 The device is used to protect the brain during certain interventional procedures, predominately in patients undergoing transcatheter aortic valve replacement (TAVR). The transaction price consists of $220 million in up-front cash, as well as a potential reimbursement-based milestone payment of up to $50 million. "Through the development and commercialization of the Sentinel System, Claret Medical has successfully introduced a new layer of safety and peace of mind for physicians and their patients undergoing TAVR procedures," said Kevin Ballinger, president, Interventional Cardiology, Boston Scientific. "This acquisition will expand our commercial portfolio to include an important adjunctive offering aimed at improving TAVR patient outcomes. We also see potential for future use in other left heart and endovascular procedures such as mitral valve repair and replacement, left atrial appendage closure and pulmonary vein isolation ablation procedures for atrial fibrillation." 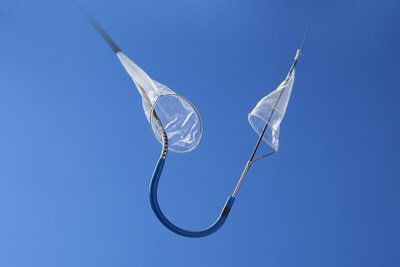 "We have been pleased by the consistent, high-quality clinical evidence generated by the committed thought leaders at leading academic centers, as well as the rapid physician adoption of the device – utilized on average in 60 percent of TAVR procedures performed across 100 centers – within just 12 months of carefully-controlled U.S. commercialization," said Azin Parhizgar, PhD, president and chief executive officer, Claret Medical. "Nearly 10,000 patients have been treated worldwide with the Sentinel System, and we are confident that the leadership of Boston Scientific will enable increased momentum and improved patient access to this valuable technology." 1 Leon, et al., N Engl J Med. 2010;363:1597-1607. 2 Webb, et al., J Am Coll Cardiol Intv. 2015;8:1797-1806. 3 Smith, et al., N Engl J Med. 2011;364:2187-98. 4 Leon, et al., N Engl J Med 2016;374:1609-20. 5 Popma, et al., J Am Coll Cardiol 2014;63:1972-81. 6 Adams, et al., N Engl J Med 2014;370:1790-98. 7 Kapadia S, et al. JACC. Jan 2017; 69(4): 367-377. 8 Schmidt T, et al. JACC: Cardiovascular Interventions. Jul 2018; 11(13): 1262-1273.